Saudi Arabia, January 20, 2019: M Hotel Makkah by Millennium, a 5-star hotel located in the heart of the holy city of Makkah, honored its employees on its 2nd anniversary, in recognition of their great efforts and contribution to upgrade the hotel to the 19th position in Makkah region, besides winning two international awards. 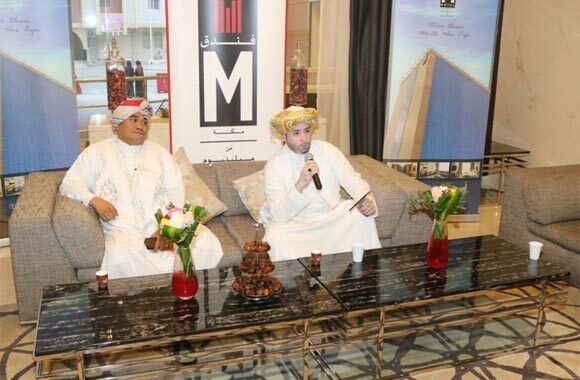 The 2nd anniversary ceremony was attended by the hotel guests and staffs, and entertained in the presence of a number of celebrities from the Makkah’s Arts of Hijaz, including the vocalists Alaa Fida and Ahmed Fattan, and the Pakistani vocalist Asad Qureshi who performed the beautiful folk songs of Hijaz region & Islamic anthems. The ceremony was followed by another celebration in honor of the employees for their great efforts and contribution to upgrade the hotel on TripAdvisor to the 19th position among 426 hotels in 2019, compared to the rank of 28th in 2018 in Makkah region. Besides, the hotel won the Best Architectural Design Award from the Arab Tourism Awards 2018 and the Best 5 stars hotel service award from the 10th Umrah Haj International Tourism Fair. The hotel recently unveiled an exclusive offer on the Executive Family Suites, giving families plenty of reasons to enjoy the winter season. With rates starting from SR333, guests will stay in one of the hotel’s luxurious and spacious suites featuring the best amenities, complimentary high-speed WI-FI internet connection, 25 per cent discount on food and beverages and 25 per cent discount on laundry. The package comes with breakfast and facility for early check-in and late checkout, subject to room availability. Book two consecutive nights and stay for free on the third night. This offer is valid until end of February 2019. M Hotel Makkah features 785 rooms and suites, individually controlled air condition, electronic door locks, in-room electronic safe box, iron & ironing board, LED HD TV, major satellite channels, mini fridge, praying mats, direct dialing phones, hair dryer, magnifying glasses in bathrooms, with a parking lot for 300 cars.